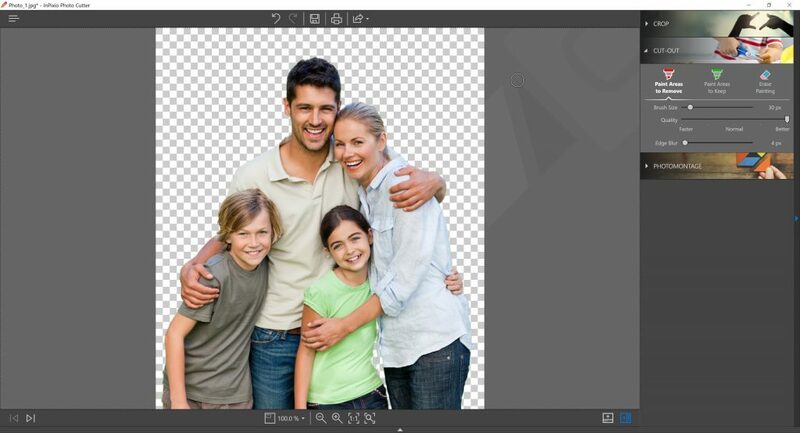 How to remove the background from your photo? Welcome, in this tutorial, find out how to easily trim a photo to only preserve the foreground. 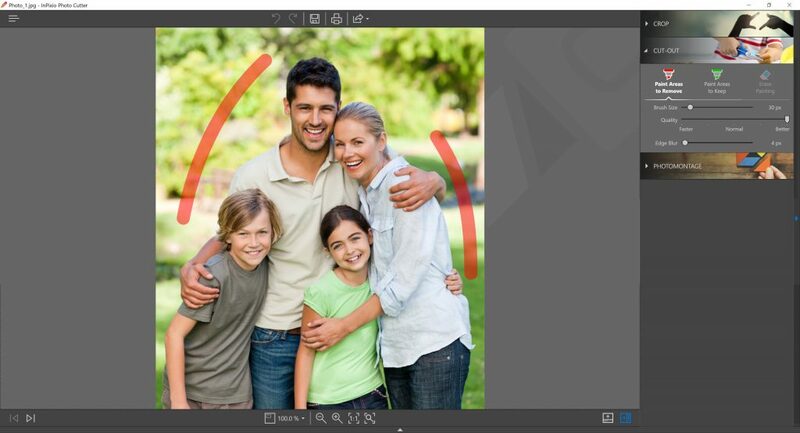 In the module “cut-out”, use the tool paint areas to remove your background. Highlight with a line, like this, a part of the background to be removed. Photo Cutter will automatically select the rest of the background to be removed. To add another part of the background to be removed, you just have to highlight it like this. Congratulations, your first trimming has been successful!